Named after their inventor, the American beekeeper George Imirie. Aren't we fortunate he had such a great name? The week before last, I added this Imirie shim and an empty super to the Copper Hive, above a queen excluder, to try to get a crop of ivy honey. Ivy is the main nectar source around here at the moment and there is plenty of it. 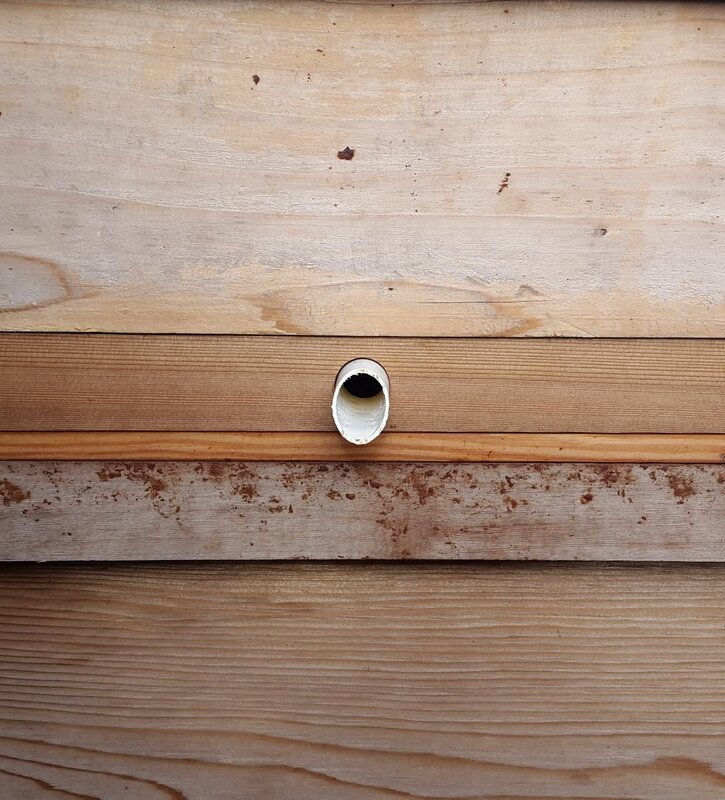 The Imirie shim provides a door for foragers to come and go from the new super directly, so that incoming nectar can be unloaded at the point of storage rather than having to be carried up through the lower super, brood box and queen excluder. 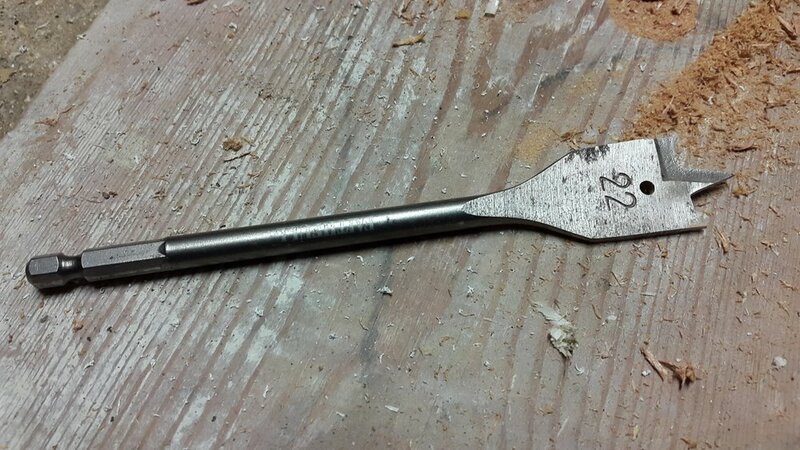 To make it, I drilled a hole in the side of a wooden eke. 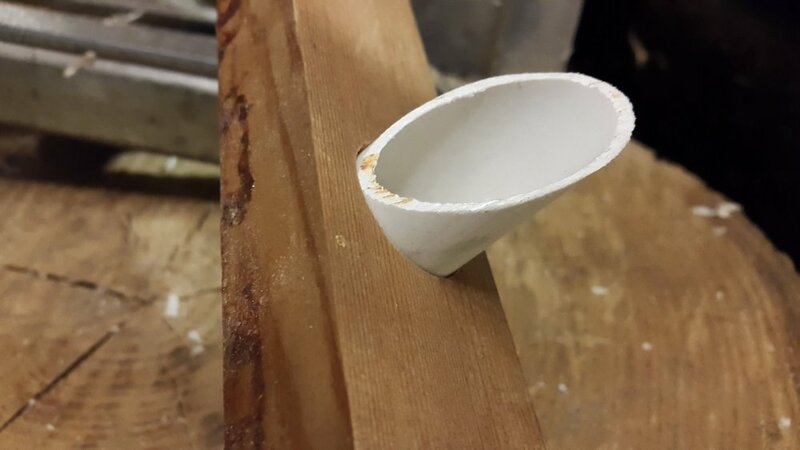 Cunningly, I fitted a small tube into the hole, with a slanted opening, to extend the area available for incoming bees to alight. This ingenious tunnel entrance is also easier for the bees to defend against wasps, which are a bit of a pest at this time of year. Unfortunately, the Copper bees don't share my enthusiasm for the design. In fact they have shunned it entirely. One or two bees tried it out in the first couple of days, but it is now roundly ignored and the main doorway remains their chosen entry/exit point. So what I've actually ended up with is a counter-productive gap between the brood box and the super. 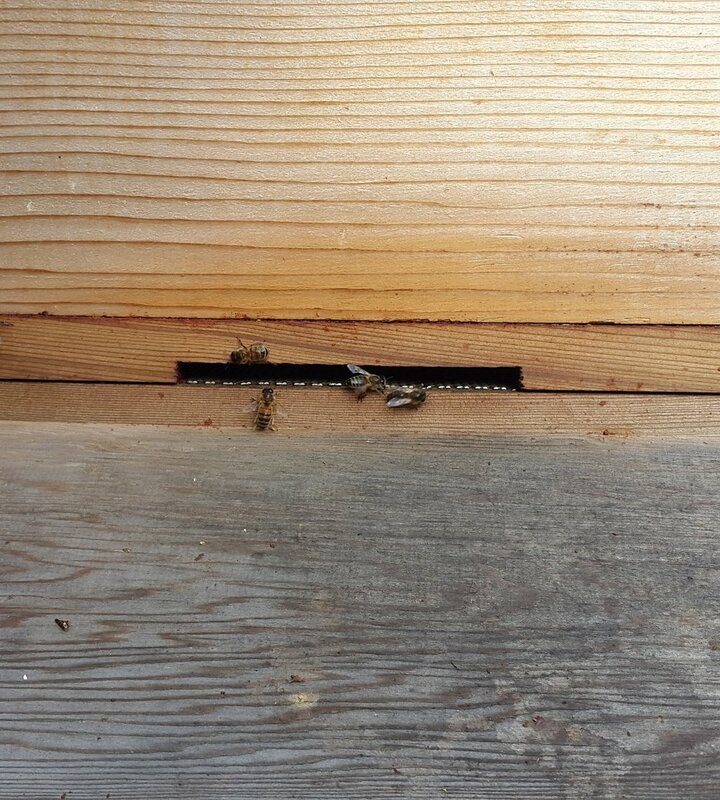 Incoming bees have to climb to the top of the brood box, squeeze through the queen excluder, then fly across the gap to the new super. Rather than encouraging the bees to store ivy honey in this box, it probably means it's the last place they'll put it. I won't be holding my breath for that crop of ivy honey. Next year, we'll try that Imirie Shim without the tunnel.